President Jacob Zuma has reiterated that teenage mothers should be separated from their babies until they have completed their schooling. 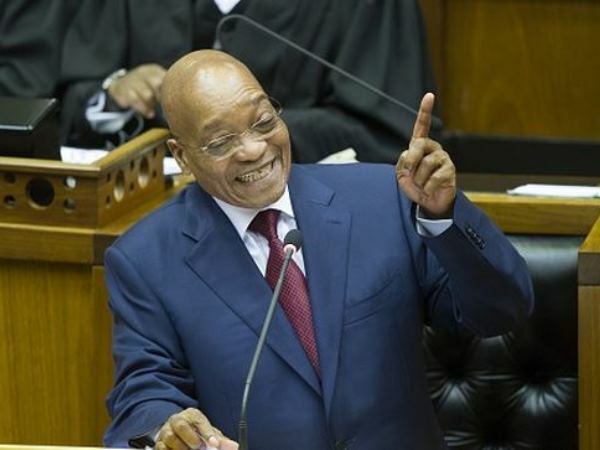 President Jacob Zuma has reiterated that teenage mothers should be separated from their babies until they have completed their schooling, in an address in Parliament several years after he first caused outrage with the suggestion. “They must be taken and be forced to go to school, far away,” he said in his response on Tuesday to the debate on his address to traditional leaders. Zuma acknowledged that when he first expressed the view during his 2009 election campaign, it stirred controversy and was likely to do so again but said allowing teenage mothers to leave school was proving an untenable burden on society and the state’s welfare bill. “The women protested, I want to take their kids away from them and blah, blah, blah,” he said. He said by forcing teenage mothers to complete school before they were reunited with their babies, society would be correcting a trend of grandparents “using what is supposed to be their pension” to raise the childen in question. “We make you take care of your kid so that we don’t have to give a grant, and that is my view. Zuma said the point he was making was part of nation-building but he knew it would meet with resistance. The president went on to say that teenage pregnancy was something alien to earlier times when traditional cultures were respected. He also suggested that welfare grants should not be paid in cash but in vouchers to prevent parents from misspending it. “Should we give the money or should we have vouchers that are very specific, either to buy food or uniforms for the school or to pay for the schools — so that the money will not be used for anything except the needs of the child.